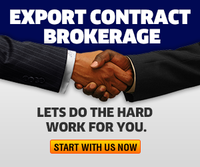 How to start export business? 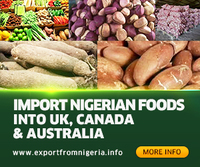 COMMODITIES EXPORT IN NIGERIA ? We deal in Large Scale Trade & Exportation of Cocoa Beans, Sesame Seeds, Cashew Nuts, Ginger, Cassava Chips, Hibiscus Flower, Cotton, Shea Nuts/Shea Butter, Bitter Kola, Kola Nut, Moringa Plant & Seeds,Charcoal, Local Foodstuffs & Beeswax. Office: 4, Ismail AbdulAzeez Street, Singer Bus Stop, Ewupe, Sango Ota, Ogun State. P.O.Box 930, Ota, Ogun State, Nigeria. The Thy Communications Ltd. Copyright @ 2010 - 2019 All rights reserved.